I quite fancied having a go at some strobist photography and to this end, I purchased a Yong Nuo Wireless Flash Trigger Receiver – at £22 it isn’t too expensive as a starter kit. 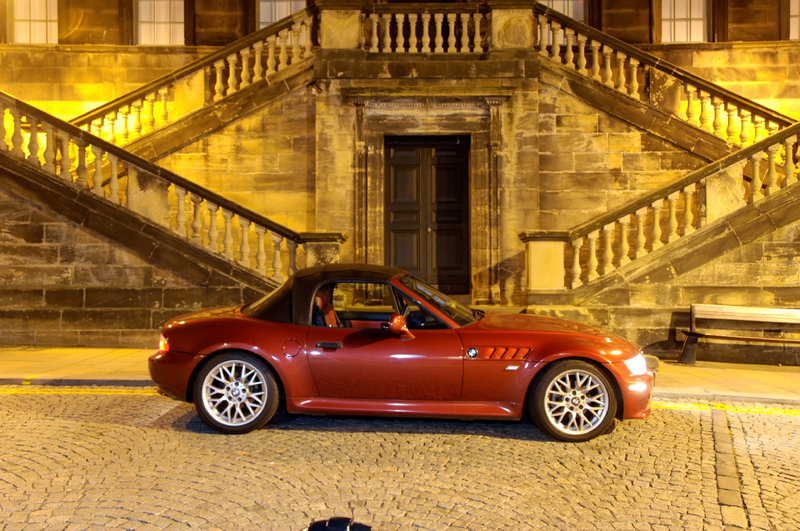 Last night, I had my first go – I parked the car up in front of the Town Hall at Linlithgow Cross. Although in the center of town, it was reasonably quiet, with just the occasional car swinging round the cross to head back down the street. Due to the highly reflective paintwork and being square on to the car, there are numerous flash hotspots. To overcome this, I set the SB600 to point upwards and using a silver reflector, bounced it’s light onto the car – this improved the hotspots, although not completely.